SKU: N/A. Categories: Celtic Collection, Belts & Accessories, Buckles, Keepers & Tips. Inspired by the courage associated with boars in Celtic mythology, we created a pair of snarling boar heads for this buckle and belt tip. We can’t guarantee these pieces will make their wearer fearlessness, but it certainly can’t hurt! Wild boars are fearsome and dangerous animals. They were admired by Celtic warriors for their strength, ferocity and courage. These warriors often decorated their helmets, shields and other war gear with boars. Historically, elaborate belts were worn to demonstrate wealth. The longer the belt, the wealthier the owner. To further demonstrate one’s wealth, people would embellish them with decorative tips or strap ends. Our Boar Belt Tip is 1.25” wide and 1.75” tall. A pair of bendable tabs are cast on the back of the tip. To attach it to a belt, punch a pair of holes in your belt for the tabs to fit through, and then bend the tabs over with a hammer. Our Boar Belt Buckle, Tip, and Reversible Keeper are designed for a 1.5 ” (38 mm) belt, and are available in both bronze and silver. Each of the pieces are available for purchase individually or can save by purchasing them as a set. 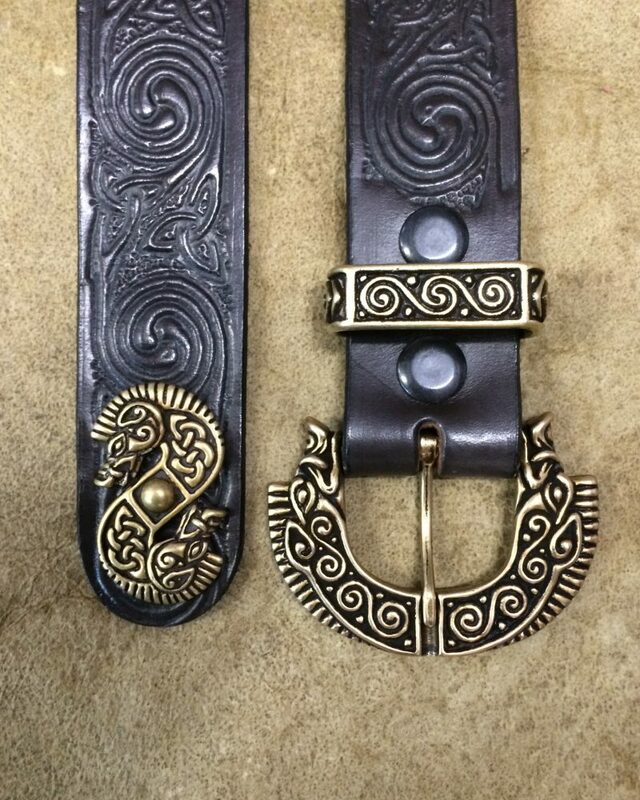 Complete your set with a leather belt: a Viking Rune belt, a Celtic Knotwork Belt, or a Celtic Spirals Belt.